The online leader in durable wedding bands is giving its customers big savings on silver, gold, platinum and even diamond rings. 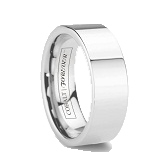 Combined with its newly expanded line of Valentine’s Day heart bracelets, pendants and jewelry, anyone can find the perfect Valentine’s Day gift at TungstenWorld.com. 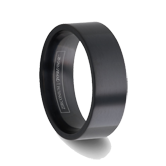 The Valentine’s Day holiday brings out the best in many jewelers and online retailers but this Valentine’s, Tungsten World tops them all with special discounts on their diamond, silver, gold and platinum tungsten ring inlays and cobalt chrome bands. 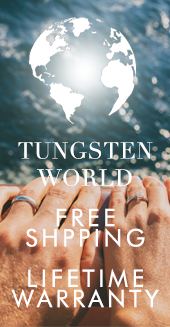 Deals using Tungsten World’s exclusive Valentine’s Day ring jewelry discount coupon codes range from $35 off to a whopping $200 off platinum styles. Having recently added an extended array of cobalt inlay rings and cobalt diamond rings, Tungsten World is giving its customers some of its best deals of the year on some of its most luxurious tungsten rings. 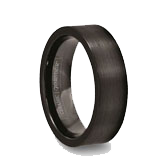 Customers shopping on TungstenWorld.com have their pick of discount depending on the type of precious metal or ring style they choose, with the highest discounts coming on precious metal inlay rings. Having recently switched to the higher grade, purer, whiter and more durable brand of sterling silver, Argentium Sterling Silver wedding bands, customers looking for silver can save $100 by using the coupon code: VDAY100. The traditionalists can snag a classic yellow gold tungsten wedding band or Valentine’s gift with a $150 discount when using VDAY150. 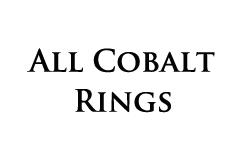 While those looking for top-shelf beauty with designer quality and immense durability will get the biggest deal with $200 off the platinum ring of their choice using VDAY200. And not to be left out, customers can get diamond tungsten rings or diamond cobalt rings $50 off using VDAY50, and even solid style rings can be discounted $35 by entering VDAY35. 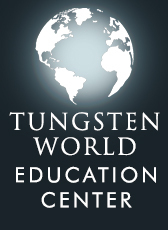 "These are without a doubt our best discounts of the year," says Stephen McKenna, owner of Tungsten World. 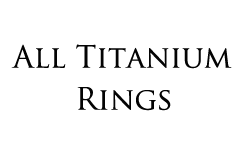 "Valentine's Day is a big holiday for jewelry and with these coupon codes customers can customize their discount according to their style." Made in the USA to the specifications of each customer's style and size selections, TungstenWorld's quality inlay rings and diamond rings are one-of-a-kind pieces hand finished to last a lifetime. Including new styles added at the beginning of the new year, Tungsten World's vast selection of precious metal inlay tungsten rings and cobalt bands include classic domed styles with 18k gold inlay to modern reinterpretations like 3 inlay rings using alternating Argentium silver and rose gold. Whether it's a classy gift meant for Valentine’s day, a modern update used to replace a badly worn and beat up wedding band or the ring to ask that special someone to be yours forever, Tungsten World’s Valentine's Day Ring & Jewelry Specials will have you covered. 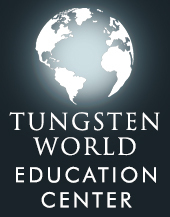 Tungsten World also added several new heart pendants and heart bracelets last month just in time for Valentines day. "Between our discounts and new line of Valentine's day rings, bracelets, pendants & heart jewelry, TungstenWorld.com is absolutely the best one-stop Valentine’s Day ring and jewelry shop this year," says McKenna.